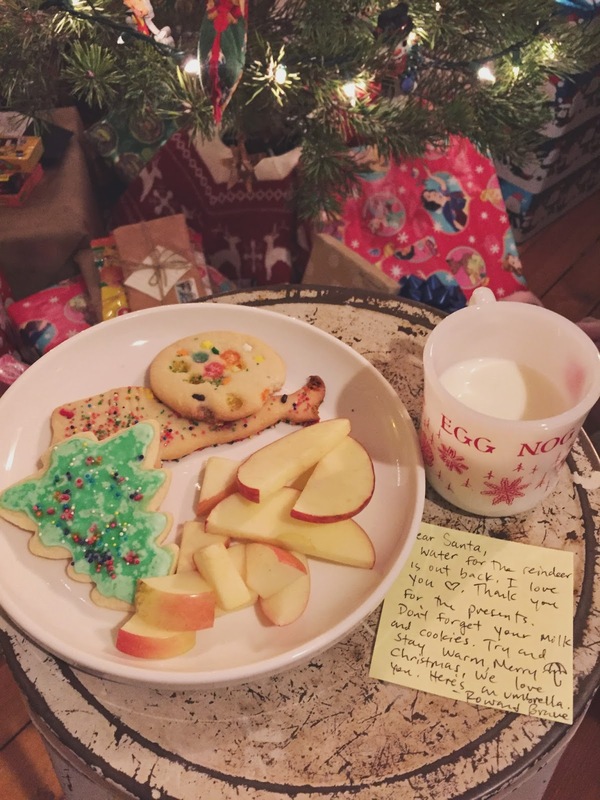 we thought we heard Santa downstairs in our house. Only Row was brave enough to get a glimpse depicted in the above video. 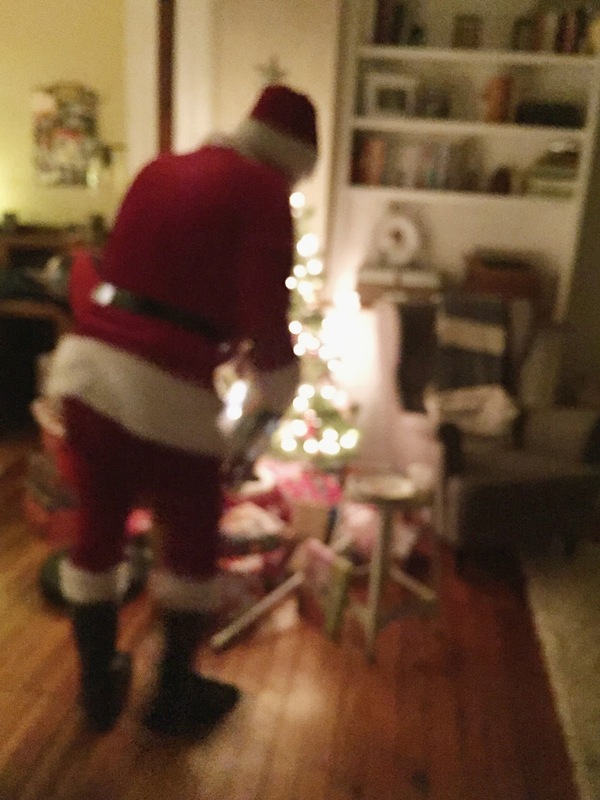 Tim did, however, manage to capture a blurry photo of Santa putting presents under our tree. 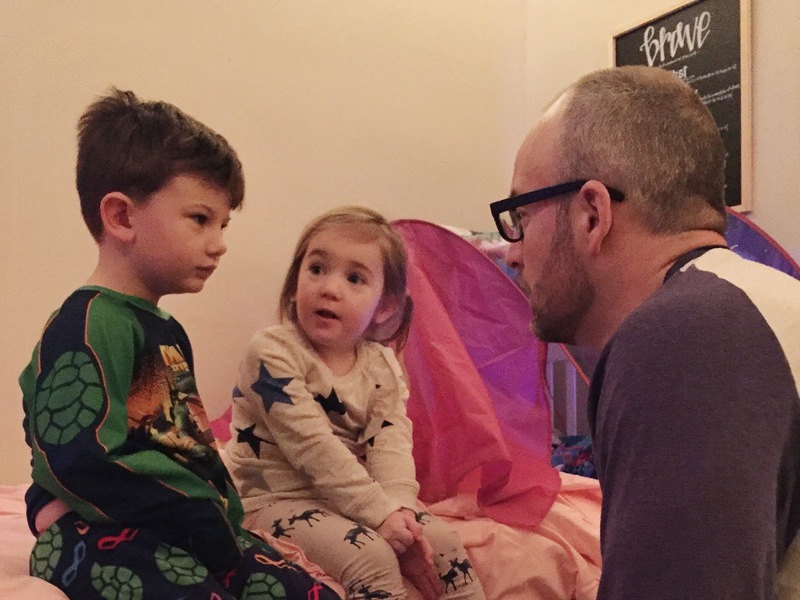 Here's to keeping the magic of childhood alive.